We get excited enough when Gulfstream unveil one new aircraft, never mind two. 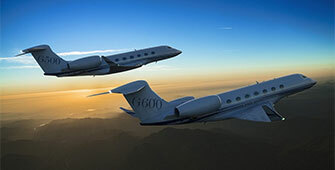 Their new G500 and G600 were launched last month, with the buzzword ‘optimization’. A combination of improvements in engineering, flight deck and cabin will make them the most advanced and efficient business aircraft available. This week's jet questions. High flying bathrooms. How do you use your time in the air?